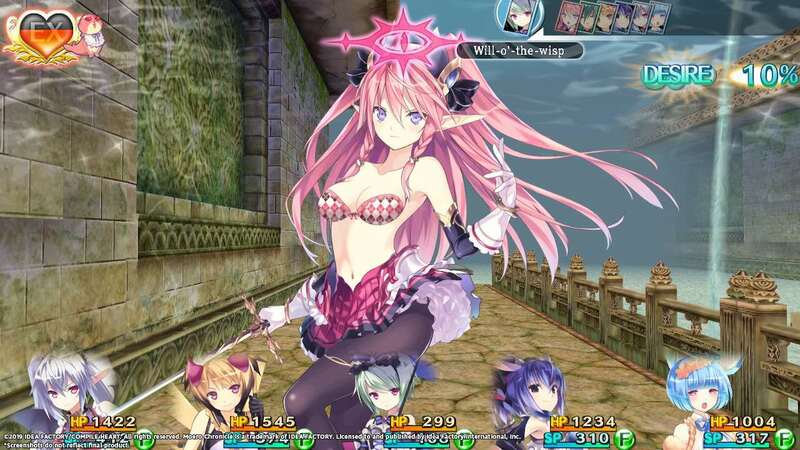 Idea Factory International has announced when Moero Chronicle Hyper will release on Nintendo Switch, a dungeon-crawling RPG that challenges you to recruit Monster Girls. You play as Io, a young man who struggles to talk to women. Any efforts he makes to strike up a conversation are destroyed by his perverted mind, aside from whenever he talks to Lilia – his best friend and a Monster Girl. However, there are problems in Monstopia. Now tasked with curing the Monster Girls there that are suddenly causing wanton pain and destruction, Io must work out whether there is a greater evil afoot. That will challenge you to fight through dungeons, recruiting Monster Girls on the way who you must build relationships with to solve the mystery behind whatever’s afflicted those in the region. On Nintendo Switch you can expect new items to increase stats, Autopilot Mode that allows you to warp on the map, all the original art and events in previous versions, and HD Rumble for Bumping Scratch sessions. This is where you must find a Monster Girls’ point of weakness on their body to touch, rub, poke, or pick until it is purified. Moero Chronicle Hyper will release on the Nintendo eShop for Nintendo Switch worldwide on April 26th.